Diseases of the hip joints can develop at any age. Because of the disease, there is a restriction of the function of the hip joint, which is accompanied by pain, lameness, limited mobility, muscle degradation and deformation of the affected leg. The reasons for this disease are varied. They can have degenerative, inflammatory, congenital or traumatic nature. The most common disease of the hip joint is coxarthrosis, in which gradual degeneration of the articular cartilage takes place. Because of this disease, the function of the joint is disrupted, which is manifested in the appearance of pain and in reducing the mobility of the joint and the ability to move independently. Constantly intensifying with the passage of time, symptoms can be temporarily mitigated with the help of medications, physiotherapy exercises and sanatorium-resort therapy. 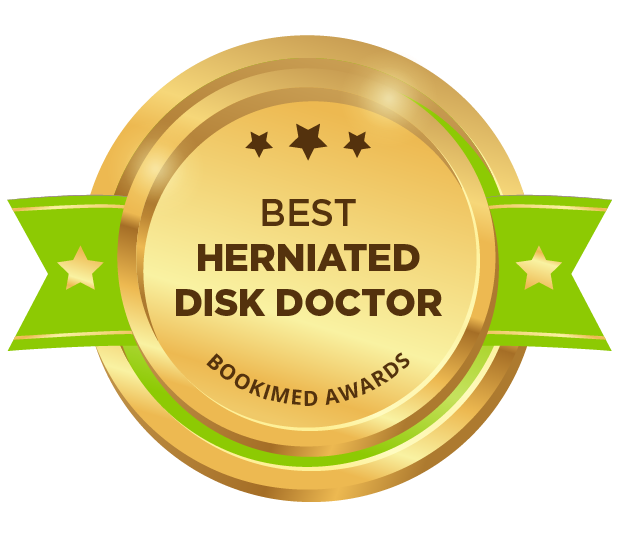 Nevertheless, in this case, we are talking about progressive disease, and in the far-advanced stage of the disease, the only option is an operation for the implantation of the artificial hip joint. We’d like to give you a more detailed description of the diseases listed below. To do this, go to the appropriate links. If you need more information about the method and course of the operation, as well as about the hip joint prostheses we use, click on Endoprosthesis Replacement. Aging of the hip joint cartilage is observed in many people over 30 years of age. The reason for this is a continuous decrease in the elasticity of the articular cartilage. However, the course of the disease is very individual, since other factors play an integral role in the progression of the disease, such as overweight, sports and, last but not least, “genes” – the individual properties of cartilage. In some people and in very old age, there is no significant aging of the hip joint cartilage. Due to the reduction of articular cartilage, friction between the femoral head and the acetabulum increases, which in turn leads to additional damage to the cartilage. At the same time, this process can be accompanied by inflammation of the capsule of the hip joint and the synovial membrane. The consequence is pain and limited mobility of the affected hip joint. If the cartilage wears out completely, the bone rubs around the bone (femoral head and acetabulum), which can lead to complete immobility of the joint in the absence of treatment. A common disease of the hip joint is also “dying of the femoral head”, so-called necrosis of the femoral head. In this case, disorder of blood flow in the femoral head, which leads to destruction of the bone tissue of the femoral head with damage to the surface of the joint. The causes of this disease are complex; some of them have not been fully studied. The key factors for the development of the disease can be the following factors: long-term use of drugs containing corticosteroids, excessive alcohol consumption, kidney disease, which shows dialysis, viral or bacterial infection of the joint or injury, accompanied by fractures of the femoral neck or the femoral head. Diagnostics of this disease can be done with the special layer-by-layer examination, magnetic resonance imaging (MRI). This examination helps to determine more accurately the severity of the disease and is the basis for choosing a method of treatment – naturally taking into account the age and individual situation of the patient. Significantly, less often than “normal” aging of the hip joint, there is an inborn deformity of the acetabulum, so-called “hip dysplasia”. Without proper treatment, in the infancy, the femoral head is displaced and out of the acetabulum. Therefore, at this early age, there is an incorrect distribution of the load on the femoral head, which leads to premature abrasion of the cartilage and, ultimately, to the development of premature arthrosis. With the help of regular ultrasound examinations in early infancy, it is possible to detect acetabular dysplasia and appropriate treatment to prevent the development of long-term effects. As another relatively rare cause of abnormal load of the femoral head, the wrong position of the femoral neck axis with respect to the femur can be named. Usually, the angle between the axis of the femoral neck and the femur is from 120° to 130°. If the indication of the angle goes beyond these limits, there is uneven distribution of the load in the region of the femoral head, which leads to increased galling of the cartilage and, ultimately, to the development of arthrosis. This process can be prevented by performing the correction operation (corrective shift operation), especially in young patients (younger than 60 years). During this operation, the bone wedge of the hip is removed, which allows you to bring the femoral neck to the femoral head in the more correct position relative to the acetabulum. Due to this, the angle between the femoral neck and the femur changes, and thereby the uneven load on the femoral head is eliminated. However, the necessary condition for this operation is not too far-reaching stage of the disease.